At the Mercedes-Benz Finance Center, we understand that there is no such thing as a “one product fits all” concept. With that in mind, we strive to serve the individual needs of our more than 450,000 customers by providing comprehensive, flexible vehicle finance packages along with the highest levels of service, all delivered by professionals at Mercedes-Benz of Bend. We offer everything from Bend car loans to used auto financing and Mercedes-Benz leases along with credit counseling, trade-in assistance, and car loan modification. 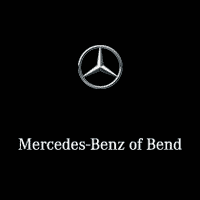 Visit our Bend Mercedes-Benz dealership, conveniently located at 61440 S Hwy 97 in Bend, OR 97702. We are only a short drive away from the areas of Redmond, Prineville, and Madras, OR. In the meantime, if you have any questions please feel free to call us or contact us online and one of our auto finance professionals will be happy to assist you. You’ve chosen to drive one of the world’s finest luxury automobiles. Now choose the finance company that has been offering the same quality you can expect from your Mercedes-Benz vehicle for the last quarter century. Begin by browsing our gallery of new Mercedes-Benz inventory and selection of used cars in Bend. Once you find the vehicle you are looking for, take a few moments to fill out our convenient online Bend car loan finance application. You can also receive an estimate of your future auto loan payment by using our car payment calculator. We work with all types of credit at Mercedes-Benz. With strong relationships with accredited area lenders, we can help establish or re-establish your credit with affordable Mercedes-Benz auto loans, used auto financing, or a Mercedes-Benz lease. We work hard to find you the bad credit auto financing you need when required. In addition, we purchase used vehicles at Kendall and would be happy to hand you a check for the fair trade-in value of your current vehicle. This will also provide you with the opportunity for a no-obligation car appraisal with one of our Kendall appraisal experts. At Kendall, we believe in providing you with the right information so that you can make an informed decision about selling your used vehicle to us or to another party. Thank you for visiting the Finance Center at Mercedes-Benz of Bend. We look forward to working with you in the very near future and helping you find the perfect luxury vehicle to call your own with a comfortable car loan, used car loan, or Mercedes-Benz lease. Come see us soon at Kendall, and let’s start something great!